Redefine and restyle fusion wear with this navy tunic that has a sassy front slit. 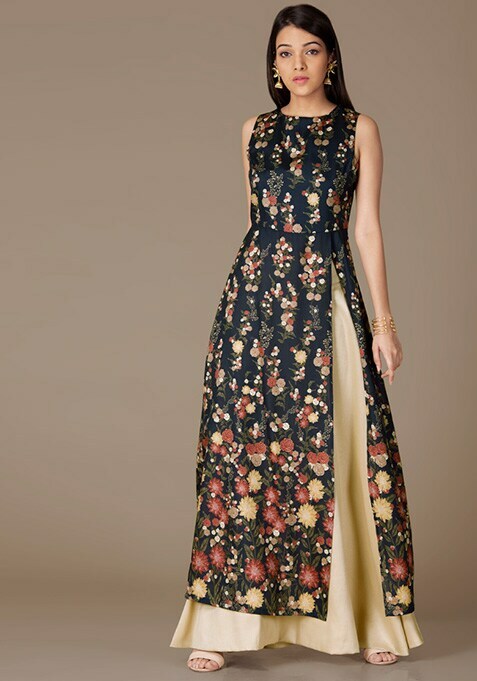 Features floral print all over and a sleeveless design. Work It: Style it with jeans and strappy heels for a perfect fusion wear vibe.